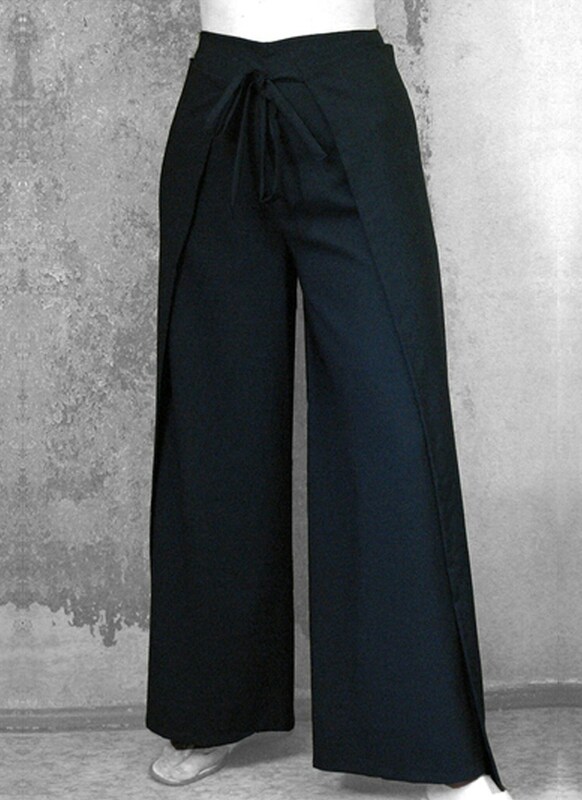 The wrap pants are like a traditional Asian-wrap pants cut wide and therefore very comfortable. It is held with ribbons in front of the abdomen and back by a node and/or loop. 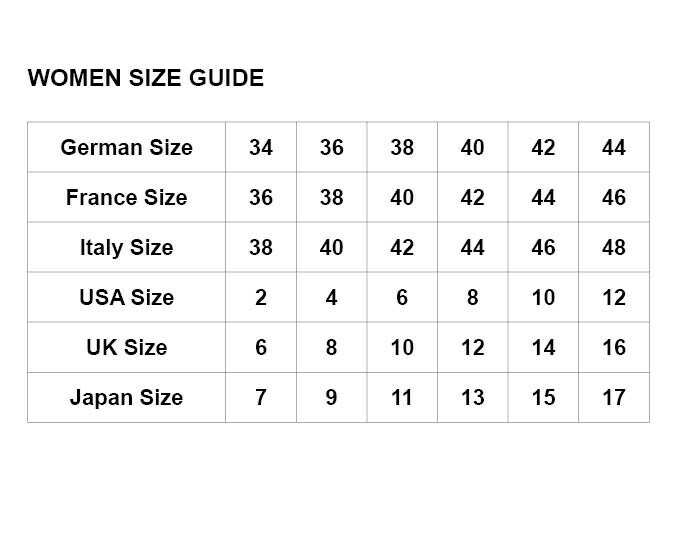 Due to the wide and winding section of the pant US Size about 6 to 14 ( = German Size 38 to 46) portable and individually adjustable. 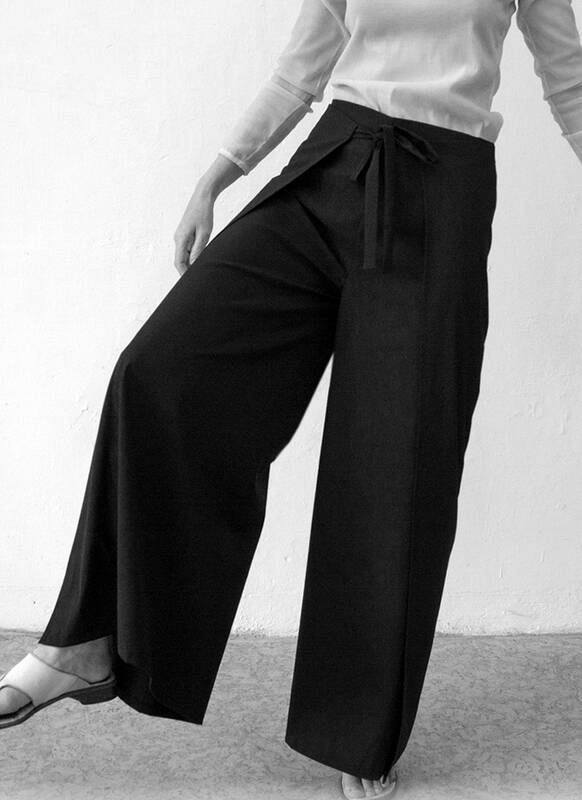 wearable in the waist or hips. 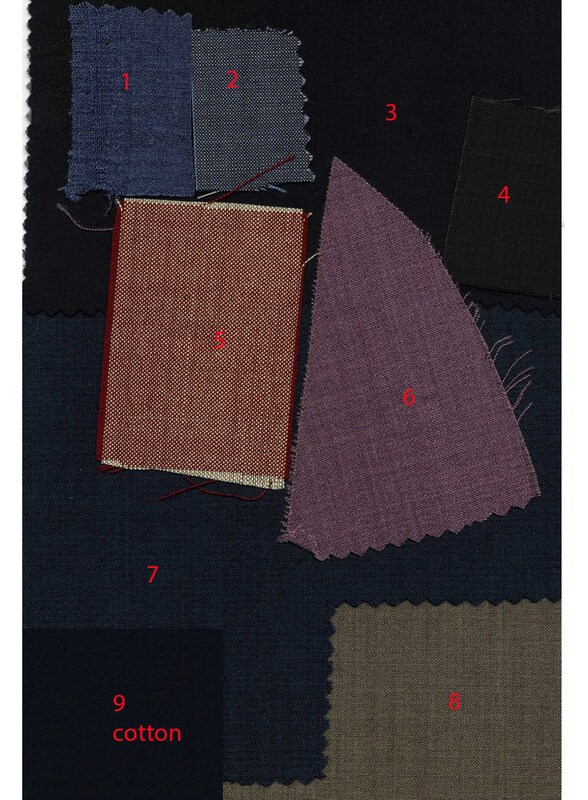 Wool fabrics fall slightly softer than Cotton or Linen. All high-quality Fabrics from Italy (except Linen). 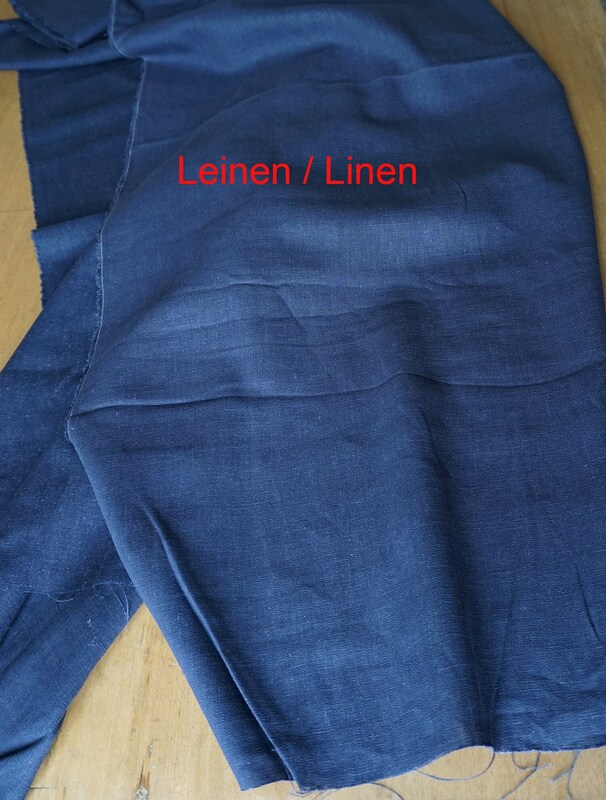 SIZE: One Size - adjustable waist of about 27,5" to 34,5"/ 70cm to 88cm (German Size 38 to 46 = US Size 6 to 14). The woman in the picture is about 5'8" / 1,73 meters tall.